Turkish authorities have ordered the arrest of 61 soldiers from the navy and land forces, including senior officers, over "terrorism" charges, according to the state media. 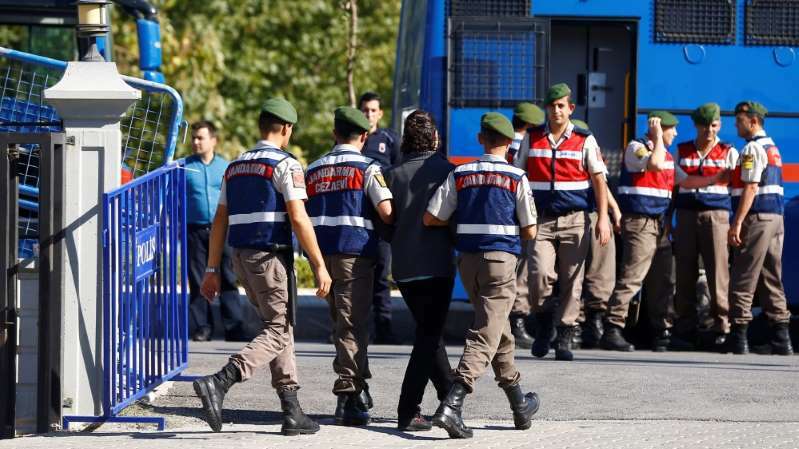 Eighteen of those ordered detained were on active duty, state-run Anadolu news agency said, adding the suspects included 13 majors and 12 captains from the land forces and 24 first lieutenants from the navy. They were arrested for suspected links to a US-based religious leader and businessman who Ankara says orchestrated a July 2016 failed coup. Authorities have carried out regular sweeps against alleged members of Fethullah Gulen's network since the coup attempt, in which about 300 people, including the plotters, were killed. Gulen denies involvement. In a separate operation, Istanbul police said they detained 21 people who were using an encrypted messaging application used by the network. Most of those detained were teachers who formerly taught at the network's schools or public institutions, police said. The detentions are the latest part of nationwide arrests and purges of tens of thousands of people over alleged links to Fethullah Gulen. Turkey's Western allies and human rights groups have criticised the post-coup crackdown, which mostly took place under a state of emergency which was declared shortly after the attempted coup and remained in effect until July 2018. Ankara says the arrests are in line with the rule of law and necessary to remove Gulen supporters from state institution and combat threats to national security.